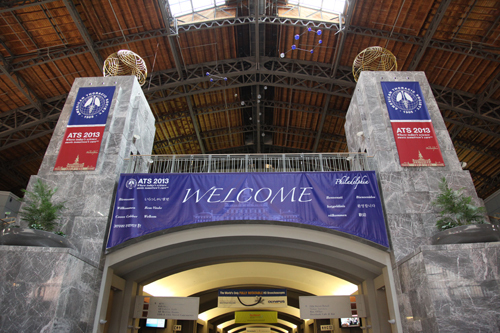 A team from the HPS Network attended the American Thoracic Society’s (ATS) International Meeting in Philadelphia in May. ATS is a medical society for physicians and researchers interested in respiratory disorders. Ashley Appell, Jasmine Rodriguez, Angie Roman and Carmen Camacho at the ATS patient Breathing Better event. 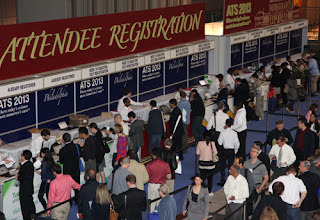 Doctors picking up their registration badges. Working on putting up the booth.